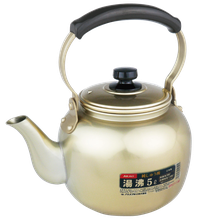 It is a pot that continues to be used in generations. The Showa retro miscellaneous goods boom began in 2002, and it is still maintaining. 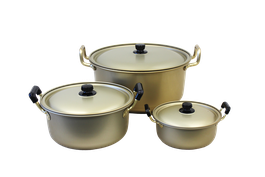 Small sizes from 2 L to 5 L are for home use. 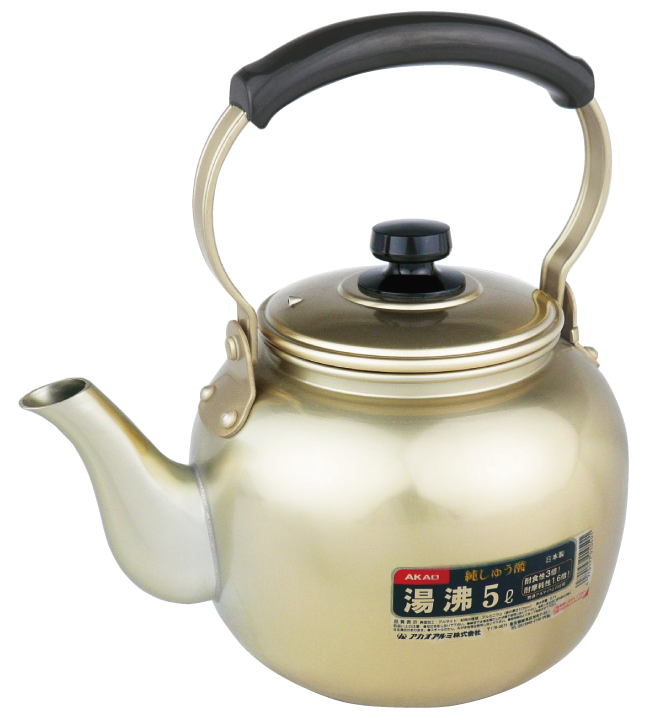 The Large sizes of 6L - 10L are used in public facilities. 26 ㎝ ~ 30 ㎝ are seen in the home center and are familiar as home use items. 33 ㎝ is used as disaster prevention goods. 42, 45 cm will come with a round bar handle. 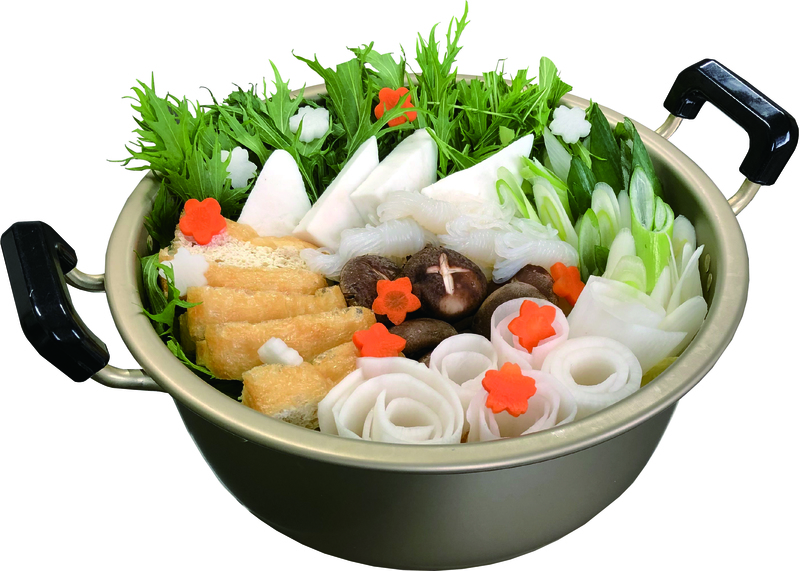 Shallow pot is perfect for making boiled fish etc. With this pot the shape of food is not disturbed, and finish will be beautiful with less soup stock. 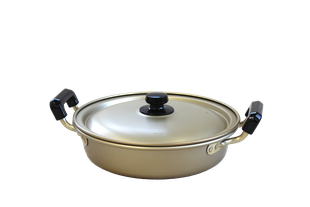 When comparing the pure oxalic acid pot with silver or colored sulfuric acid alumite product, corrosion resistance to foods such as soy sauce, Chinese soup, acetic acid and umeboshi is 3 times higher, and wear resistance is 1.6 times (compared to our company) higher. 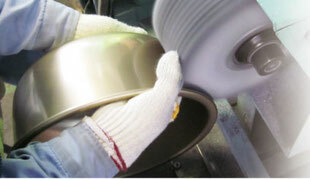 The thickness of this pot is 20%more compared with other companies pots. It is stronger and lasts longer. 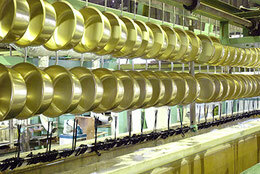 A golden anodic oxide coating is produced by anodic electrolysis with an oxalic acid solution. We manage concentration, temperature, electrolysis time and maintenance of chemical layer. Before and after alumite, we polish the surface twice to realize deep golden color. For pork soup, gut stew, oden, simmered fish etc.